Yes, Man has to drink too. 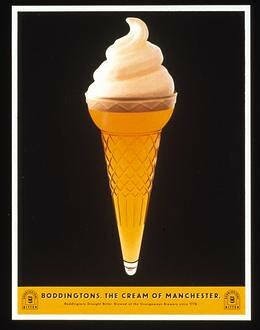 So, what do you get when you mix ice cream and a bitter draught beer? 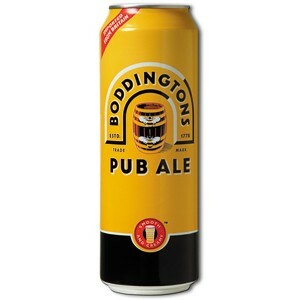 When going to a bar or pub that offers foreign beers, Boddingtons usually is my poison of choice (the other one being Hoegaarden). 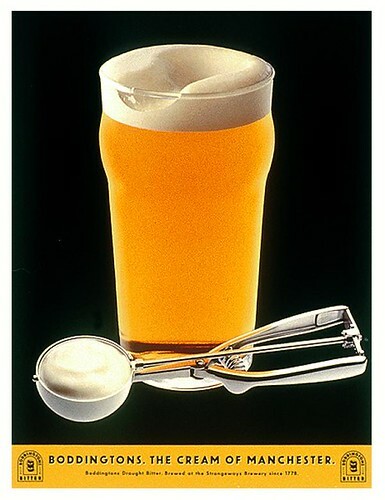 Thanks to the aerator widget in every 1 pint can, the beer forms a really thick head when poured. How thick? 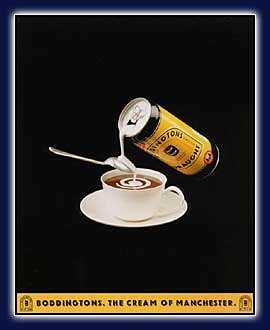 Check out these ads for Boddingtons. Wait, I think that was a Friends episode.